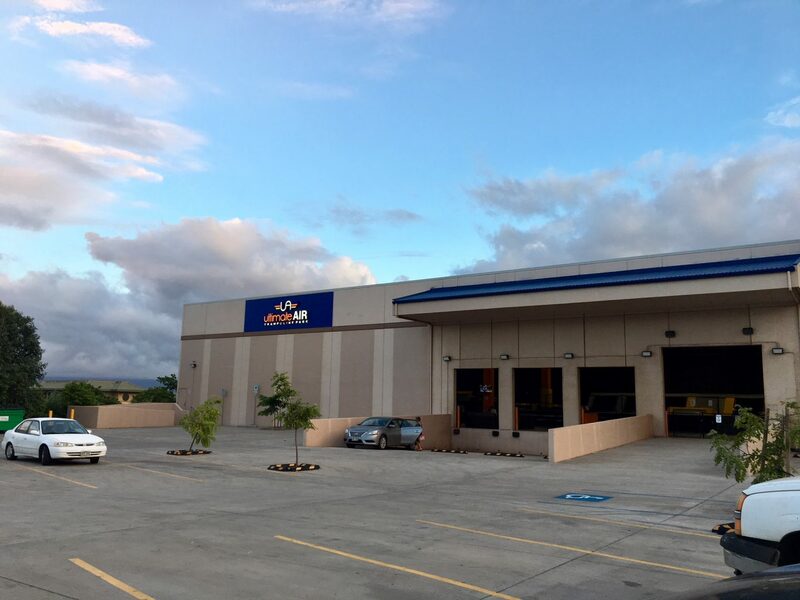 A few weeks ago we were invited to a birthday party at Ultimate Air Maui. In light of yesterday’s island-wide rainstorms I thought this would be a great place to spend some time on a rainy day with kids. Ultimate Air Maui opened this past spring. 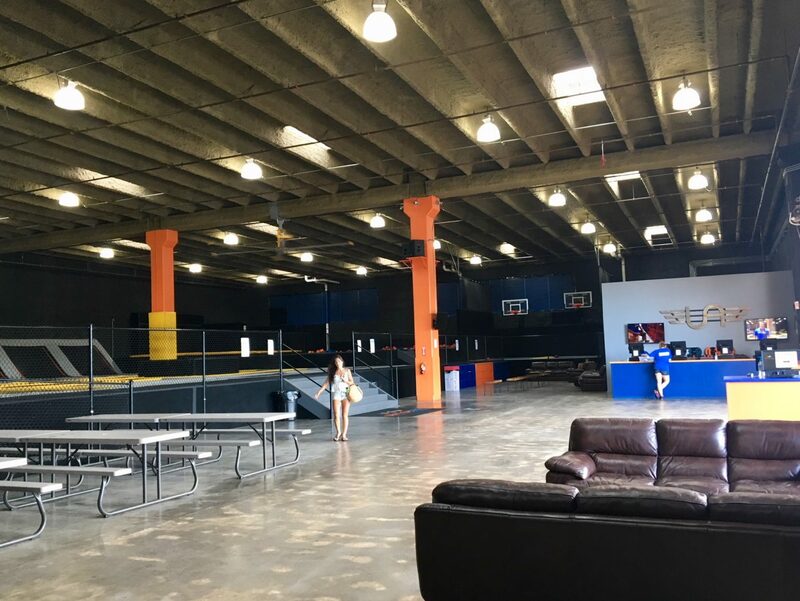 There aren’t many indoor activities to do with kids on Maui, so their opening has been eagerly anticipated by many kids and parents alike. 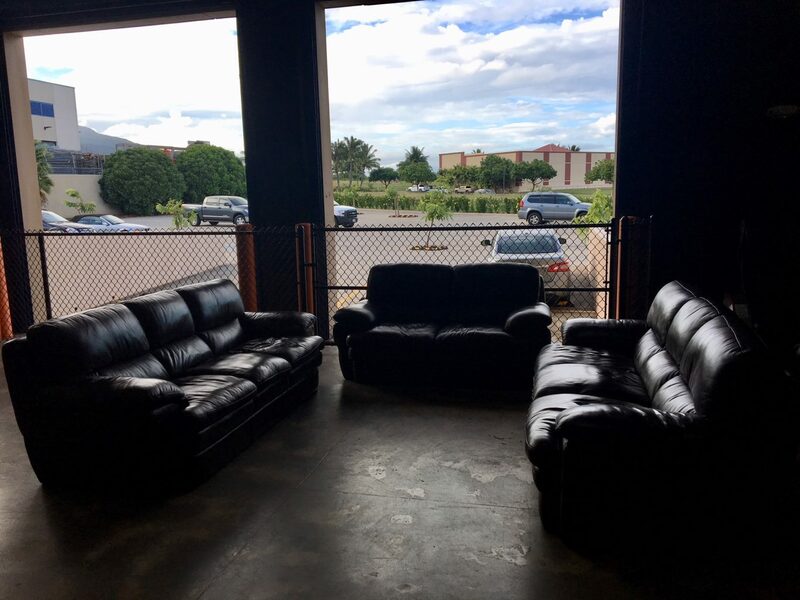 It is located in a large open warehouse in Maui Lani/Wailuku. The facility is new and clean and not air-conditioned (just in case you were wondering). The evening of the birthday party was fun. The kids bounced around, there was a very attentive birthday party attendant who helped the party run incredibly smooth. The website doesn’t mention this, but there are certain specials and special events. For instance right now Wednesdays are Ohana Night – come as a family and jump $10/hour per person. They have times reserved for toddlers, Friday night teen nights and even host fitness classes. For more information check the website, for specials check out their Facebook page. Tickets are $22/hour, $32/two hours, $40/three hours plus $2 jump socks. They do not allow outside food or drink (they do have a concession). And most importantly for those non-jumping parents or family members, there are comfy leather couches and even massage chairs. I’m sure we’ll be back at some point!